Franklin Tennessee has long been a destination for Nashville visitors. In recent years. it has become more desirable to those moving here from other parts of the country. Our highly-ranked public schools, low property taxes and no state income tax have become a big draw for home buyers. Unlike other states, Franklin Tennessee wasn't impacted as much by the economic downturn caused by the mortgage industry collapse in 2008 and the years following. As a matter of fact, we didn't see the worst of it until 2011. In 2012, we began to quickly rebound and the housing market has been strong ever since. Buyers should know we have been in a strong seller's market for the last five years. As a result, new construction homes in Franklin are on the rise. Fueled by a lack of inventory in existing homes, home developers have bought up much of the available land in our area. As of today, July 5, 2017, 35% of Franklin's housing for sale is new construction. These new homes have caused housing prices to go up. As a result, you won't see much negotiation, if any, from local builders. They know they hold the largest number of homes for sale in many price points. New construction home sales continue to be brisk for the foreseeable future. Buyers will be hard-pressed to find any new construction single-family homes in Franklin priced under $350,000. The only town in Williamson County that currently has single-family new construction available priced under $350K is Spring Hill. For those who would like to buy Franklin new construction, a wide variety is available; everything from one-bedroom condos to sprawling mansions on acreage. Given this current market, buyers really do need the assistance of their own agent. Franklin Homes Realty LLC has negotiated many new home contracts over the years; from $300K one-levels to large million dollar custom homes. It's good for buyers to know all their options. Working with a buyer's agent can help you learn what's currently available in your price and then determine which builder is the best fit for you. 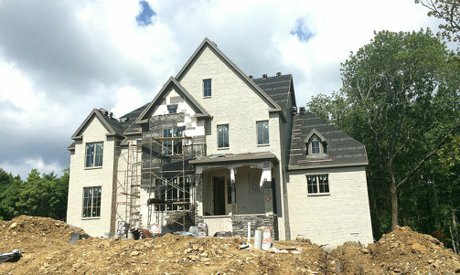 There are three types of builders currently constructing homes in Franklin TN: production builders, semi-custom builders and custom builders. 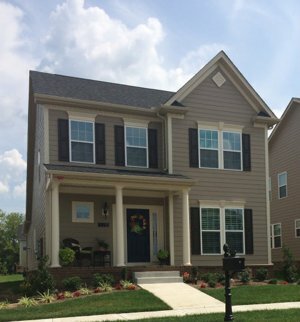 The majority of the new construction you currently see in Franklin is performed by Production Builders. These are usually big companies both locally and nationally based. They include Celebration Homes, Drees Homes, Goodall Homes, Patterson Homes, Pulte Homes, Regent Homes, Ryan Homes, Signature Homes, Southern Land and Turnberry Homes. Other parts of the country might refer to this as tract housing. These builders are in new construction neighborhoods with on-site agents. They have a limited number of floorplans and allow you to choose features from an option list. Most options are limited to cosmetic items like cabinetry, flooring, counter tops, backsplash and color selections for brick, siding, paint, etc. However, if you want to increase the size of a room by moving a wall or deviate from the existing floorplan, they won't do that. This keeps their cost down and allows their subcontractors to come in and quickly knock-out a house in 4 to 5 months. For example, we recently had a buyer purchasing a home with a Production Builder. That builder used a local lighting company to provide its light fixtures. Our buyer wanted to choose her fixtures rather than going with the standard ones chosen by the builder. Her request was denied. These builders don't want to deviate from the plan in any way. It's how they regulate their costs and time schedule. Fortunately, many of the new construction builders in Franklin now include 42" cabinets, granite countertops, stainless steel appliances and some hardwood flooring in their base home prices. You rarely see Market Homes, sometimes known as Spec Homes, in these neighborhoods. Production Builders don't usually want to begin construction until a buyer is under contract. This keeps their carrying costs to a minimum. Large non-refundable deposits are required at the time of contract; usually between 3 - 10%. This gives the builder start-up money to begin the home. You won't find many semi-custom builders in Franklin. These builders have standard floorplans but will allow some limited customization, such as moving walls, choosing light fixtures, opting for sand and stain hardwood versus engineered flooring, a variety of trim packages, etc. 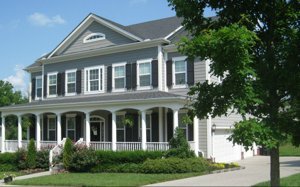 Some of the semi-custom builders you will find in Franklin are Deer Creek Homes, Ford Homes, Southern Land Company and Signature Homes (limited locations). Some of these builders have been very accommodating to our clients. Going way above our expectations in an effort to meet the buyer's needs. However, there are limits to what they will do. Semi-custom builders will also require a large non-refundable deposit before beginning the building process. These homes usually have a longer building period of 7 - 8 months depending upon the customization requests. 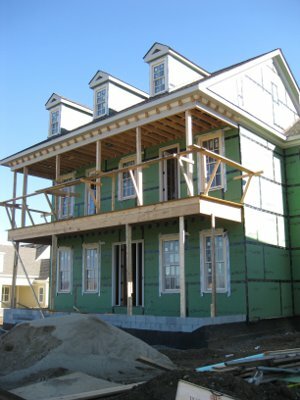 Custom Builders are generally found in Franklin new construction homes in excess of $800,000. Although, we're beginning to see that number climb. Builders may already own the land or they will build to suit on a parcel you own. Buyers will have difficulty finding land if you don't already own it. These builders usually have an in-house architect that will design and draw a home built to your specifications. Buyers who may already have a floorplan will seek a Custom Builder. These builders are smaller, local companies that may only build a few homes a year. Their emphasis is on quality, not quantity. They will do whatever a buyer asks of them as long as buyers are willing to pay their price. Custom builders charge more for their services because the choices to buyers are limitless. In most cases, buyers will already own the land. The land/lot must be mortgage-free before a home can be constructed on it. The buyer may be required to get a construction loan that will make regular pay-outs to the builder as specific phases are completed. Essentially, the buyer is paying as they go. Building a custom home has a much longer build time. Depending on the size, it may take a year or more to build a custom Franklin home. The permitting process alone is a minimum of 60 days. Builders know and understand the majority of their home sales come from real estate agents. They have priced their homes with this in mind. Many buyers think when they go in without a Buyer's Agent that savings will be passed on to them. Nothing could be further from the truth. Base home prices have already been established and include your buyer's agent's commission. They won't reduce their base home price under any circumstance. Given this information, it's best to have your own agent. The on-site agent, while friendly and knowledgeable, works for the seller. It is her job to get the best sales price for the seller. As such, anything you discuss with this agent can be used against you during the negotiation process. It is best to have the help of a Buyer's Agent so you don't diminish your negotiating power. In addition, these new homes are being constructed very quickly. Mistakes will be made during the construction process. You want an agent who can help you through these mistakes. We make weekly visits to the building sites for our buyers. Franklin Homes Realty has represented buyers in a transaction with many of the builders listed above. The Principal Broker, Tammie White, previously worked with a custom builder in the Chicago suburbs and built her current Franklin home using a semi-custom builder. Three of her personal homes were new construction. In addition, she has worked with many new construction buyers and is well-educated about the process. She eagerly shares that information with her clients. It's always best to contact Franklin Homes Realty LLC prior to visiting any new construction home sites. You want your Buyer's Agent present at all times. She will know the right questions to ask to best represent your interest. Buyers need to understand that it doesn't matter what the on-site agent tells them. If it's not in writing in the contract, it won't happen. New construction contracts are long and complicated. They protect the builders, not you. They should always be read prior to signing. Having a real estate agent who can advise you on these contracts is crucial. We can't tell you how many times buyers have come to us seeking our assistance after they've alread signed a contract. Don't make that mistake, use your own Buyer's Agent to represent you. You can also search for Franklin TN new construction homes by neighborhood by just clicking the link. We've provided additional information on buying Franklin TN new construction. NEW TO MARKET NEW CONSTRUCTION! Main level living at its best! 3 bedroom 2 bath Washington plan; optional Bonus/4th bedroom/bath. Beautiful "Ashland" in brick! Very open floor plan, large front and back porches, 3 BRs, 3.5 Baths, full 3 car garage, tankless water heater, 10-ft / 9-ft ceilings!